Catalog Number for Reference Fluxivity (250 nWb/M): 31J219. Tone House Studios has new Guitar and Recording Studio gear being added every week! recording facility located in Long Island, NY. Tape Width: 1/2" (12.5 mm). Effortless, Trouble-free and user-friendly for all project, even more smaller works. -Total of 50 feet long roll, Make the longest premium transparent transfer paper tape roll in its class at a much lower price comparable to others, you’ll appreciate the length and price. Laser ranging error,that is given as " /- 2mm at 10m and 25m". 1 x Level Laser. Laser radiation, avoid direct eye exposure! Power by: 3x AG 13 button battery（included）Total：6 button battery. Size: 18.5 (L) x 6.2(W) x 2.8 (H) cm. TEAC MTT-5512 Test Tape, New condition. This tape is blank. It may also be used for checking the CAL. Tape thinkness: 18um. ❷Weed the negative vinyl. 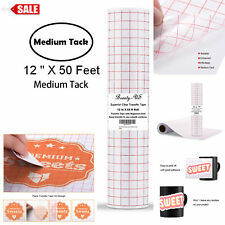 -Total of 50 feet long roll, Make the longest premium transparent transfer paper tape roll in its class at a much lower price comparable to others, you’ll appreciate the length and price. ABEX TCC-106A Blank (Type I) Test Tape. This tape is BLANK. Signal: BLANK. CRAFTING MADE EASY: Transfer your designs like a pro when you use Angel Crafts vinyl transfer tape. TAPE 0956TAPE LASER ALIGNMENT *NEW IN BOX*. Laser ranging error,that is given as " /- 2mm at 10m and 25m". 1 x Level Laser. Laser radiation, avoid direct eye exposure! Power by: 3x AG 13 button battery（included）Total：6 button battery. Net weight: 228g. 8 TRACK CARTRIDGE EIGHT TRACK TEST ALIGNMENT AZIMUTH ALIGNMENT TAPE. TEST TAPE. STUDIO TAPE QUALITY. THE MACHINE HAS A NEW HEAD, BEEN ALIGNED AND IS, AS NEW FOR MAXIMUM QUALITY. THE SIGNAL ON THE TAPE WAS THEN CHECKED WITH A Stanford Research SR620 Frequency Counter. Cuts a rounded 1/2 semi-circle, as I have demonstrated on the yellow piece of paper. 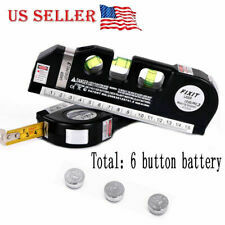 1PCS X Laser Level Ruler. Note: Laser ranging error,that is given as " /- 2mm at 10m and 25m". Laser radiation, avoid direct eye exposure! A laser device is not a toy and must not be allowed to fall into the hands of children. Typical Country. United Kingdom. Condition: NEW. Rate (item arrived). United States. Brand new SONY HD alignment tape for tape machine model SRW5000/SRW5500. Amstrad CPC. Not tested but it looks in Excellent condition. 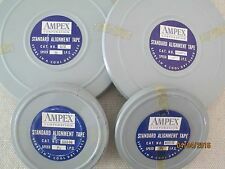 SONY Betacam alignment tapes, CR2-1B, CR5-1B, CR5-2A - FREE SHIPPING!!!!! Offered are 3 SONY Betacam Alignment tapes. CR5-2A still in factory sealed package. CR2-1B & CR5-1B opened but appear unused. These sell for over $500.00 each at SONY. They have been in climate controlled storage for a number of years. Sold AS-IS. NOT TESTED! (I do not own the console anymore so i cant test it). You will get the item in the photos.